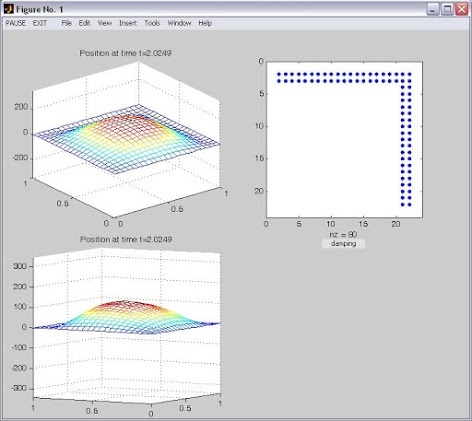 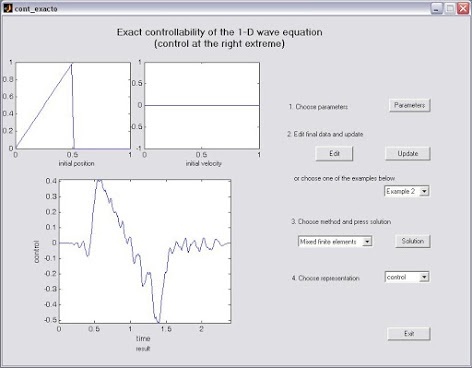 This webpage contains a free software to compute the control of the wave equation with Matlab. 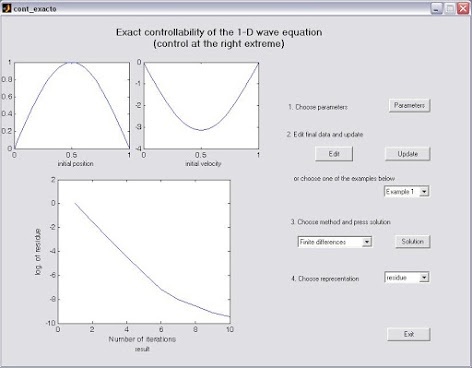 Exact control of the 1-d wave equation with finite differences and mixed finite elements when the control acts in one extreme. 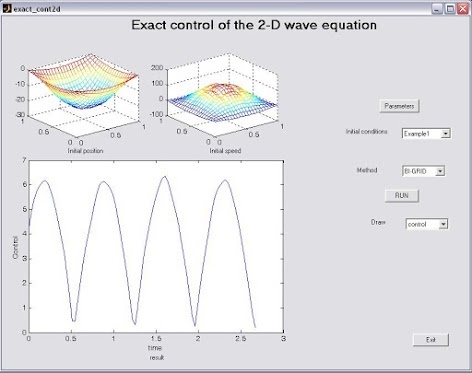 Exact control of the 2-d wave equation with finite differences and mixed finite elements when the control acts in the boundary. 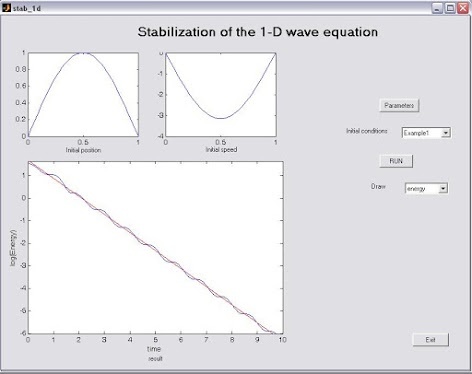 The stabilization of the 1-D wave equation in an interval with a damping acting on an internal subset, discretized with finite differences and numerical viscosity. 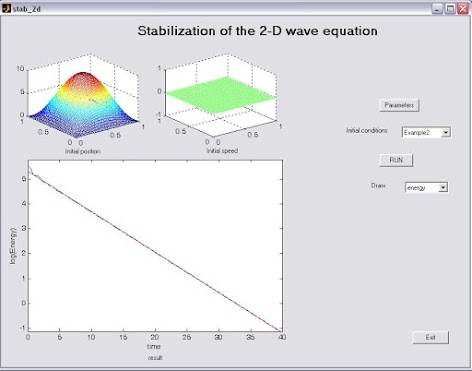 The stabilization of the 2-D wave equation in a square with a damping acting on an internal set, discretized with finite differences and numerical viscosity.